Before I travelled to the EU, I have read many comments from people who’ve been to Paris about it being beyond expensive, hyped-up and most of all, overrated. And that there are other places in Europe worth seeing than Paris. Why is this so, when almost all of “my trusted travel websites” say Paris is one of the best travel destinations ever? I know right? Welcome to the Internet! If you dream of seeing Paris at least once in your life and you've read similar negative comments about Paris, don’t fret! It’s just their opinion anyway. It will not change the naked truth - there is but one Paris! 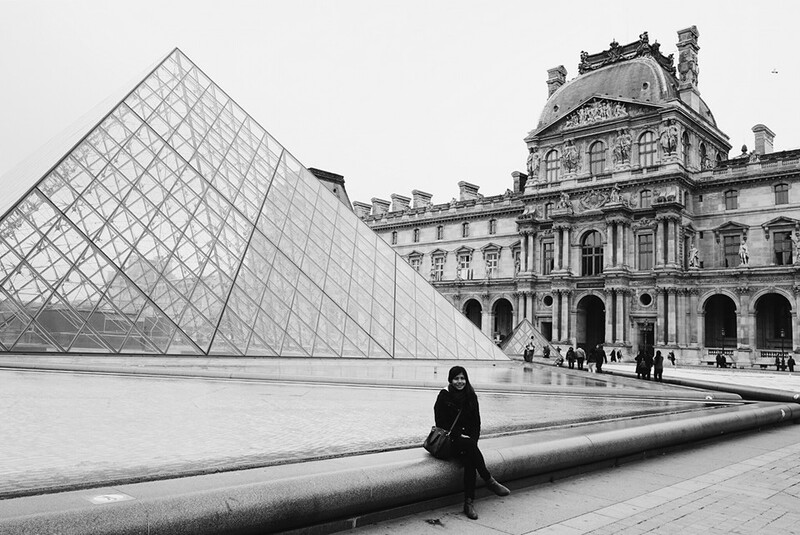 We’ve been to 10 European cities and it’s hard to explain why Paris remains as our favorite city. It has its fair share on vandalism, rubbish, scams, overpriced food and rowdy tourists. To me, Paris seems more beautiful than Amsterdam. Then when I saw Prague, Venice, Florence, Rome, Barcelona and Budapest, I thought they were more beautiful. But when we came back to Paris for the last leg of our trip, surprisingly, it looked more charming than it was three weeks ago. It seems that the longer you stay in Paris, the more it becomes stunning. Okay, enough of my sentiments. It’s hard to resist not to visit other countries in Europe while you’re in France. 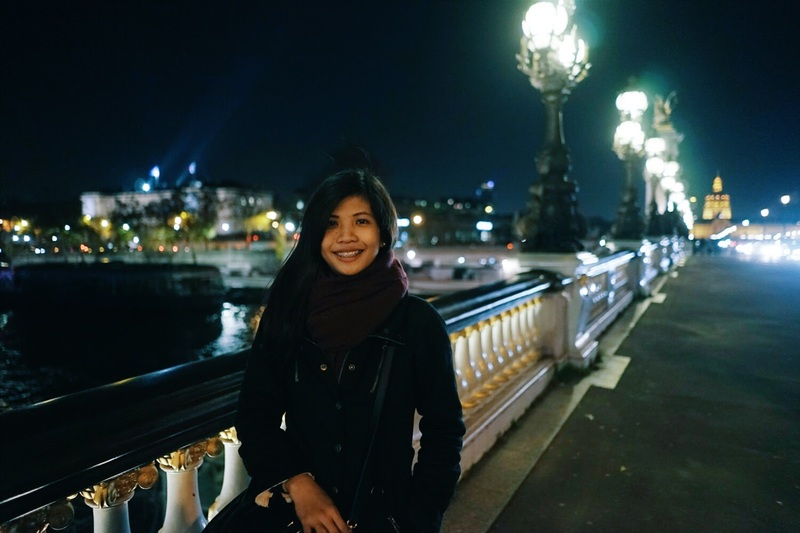 If Paris is your ultimate dream destination, and you’re a bit short of budget and vacation leave credits, it’s still possible! 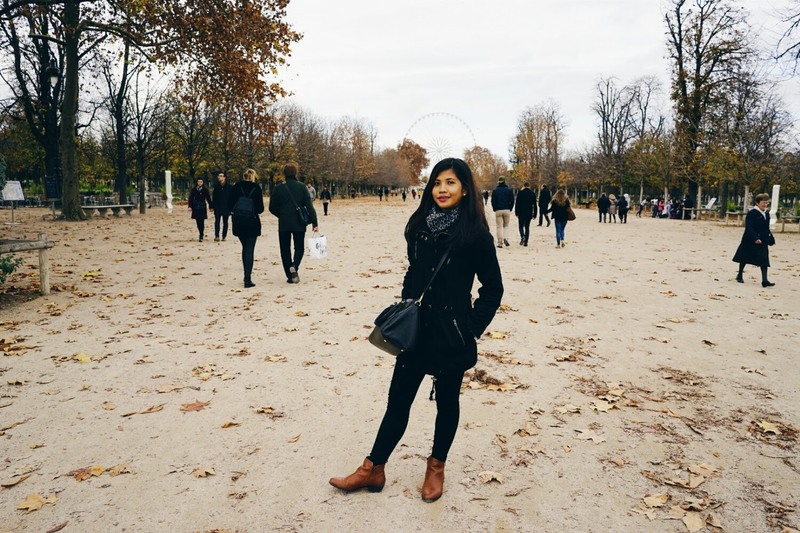 Visit Paris on a Php 50,000 budget? Why not! Coat for Php 120 from your friendly ukay-ukay store! The cheapest I saw was Php 25,000, booked 1 year in advance. We booked ours 2 months before our trip for Php 30,000. Here’s how we did it. One of the cheapest and most convenient is the Roissy Bus. I believe there’s also a train from the airport, but it can be inconvenient depending on where you stay in Paris- consider the number of transfers you'll need. When travelling, we value convenience and privacy a lot. As much as possible, we avoid dorm-type accommodations. Though, we almost booked one in Paris because most of the cheap hotels were already fully booked. Also, it's not advisable to “walk-in” or find a hotel on the spot because it’s more costly. It’s recommended to book your stay in advance. A simple private room in Paris costs around Php 3,000. For the same price, we also tried Airbnb so we can stay near the Grand Boulevards and the Louvre. It’s really expensive especially the ones near the main sites. Since we’re not locals and we didn’t do enough research, we didn’t know where to find the cheap restaurants. We had our food, mostly to-go, from the local groceries and pretty boulangeries we saw while touring the city. Because most restaurants are expensive, we ate some of our breakfasts in McDonald’s. Truth be told, it can be appeasing to eat at least once in McDo than to spend €20 for a small a-la-carte meal in a sit-down restaurant. It’s still in <McDo> Paris anyway! My favorite part! 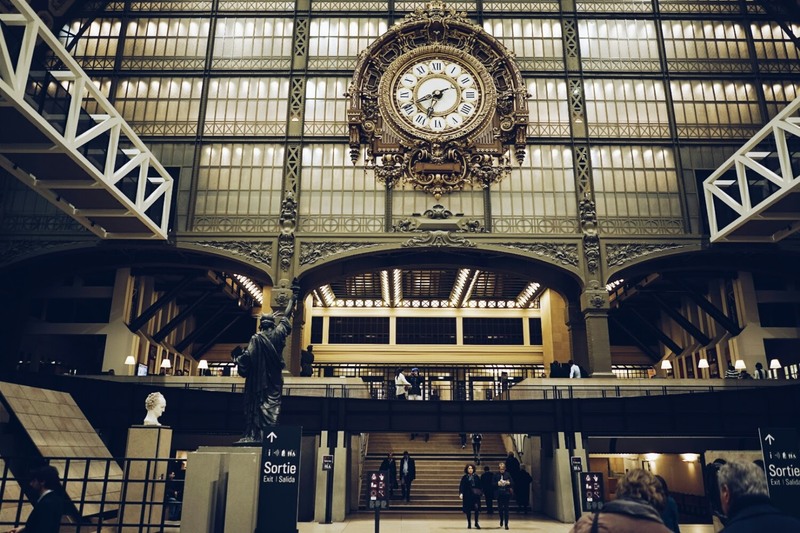 Did you know that the Paris train system has 300 stations? The Metro can bring you anywhere in Paris! No need to take the taxi to get to your hotel or the main sights. Finding your way through the map can be intimidating at first. But hey, their metro system has its own Android App called RATP - Visit Paris by Metro! 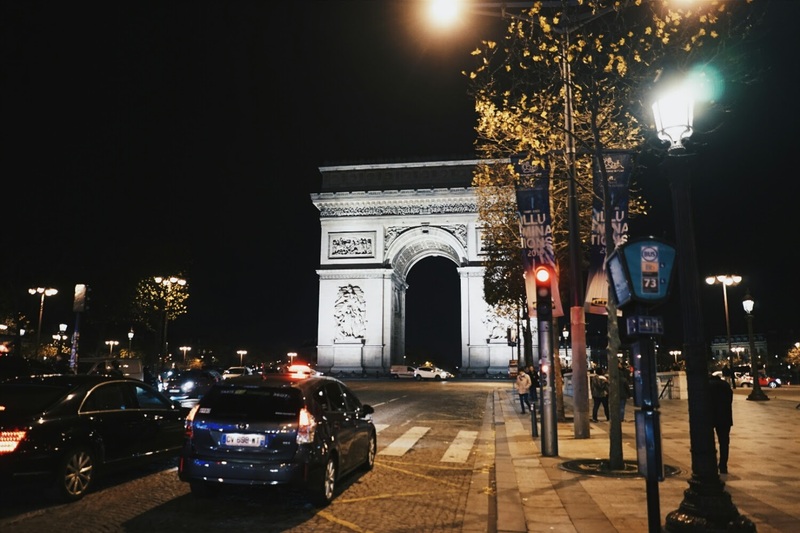 Install it and see how you can swiftly get to any point in Paris. A 1-day train pass within zone 1-2 (Paris centre) costs €7 (airport line not included). Single ticket is €1,80. We love to walk a lot so we didn't need a train pass. We just bought a carnet of tickets (books of 10 tickets), for €14,10. You can share it and it will only expire after a year. 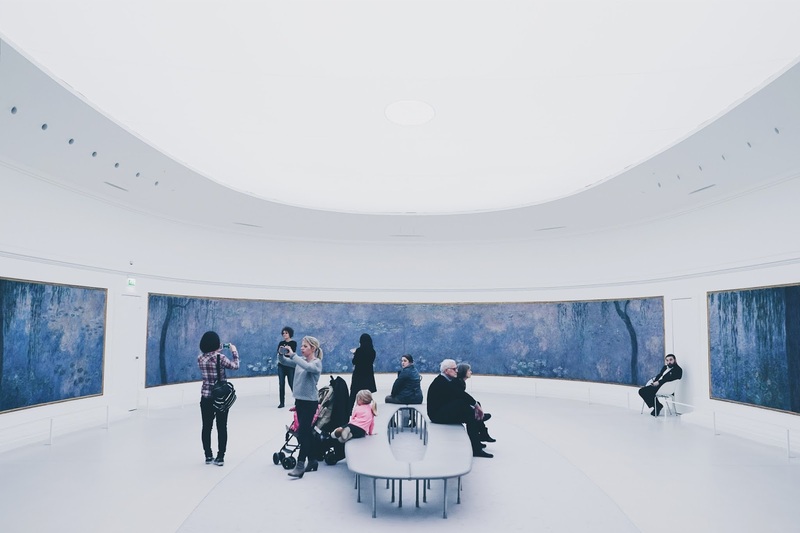 Some of the biggest museums are free every first Sunday of the month. But it can get crowded for sure. Paris is extremely beautiful that walking through its streets is already extremely satisfying. 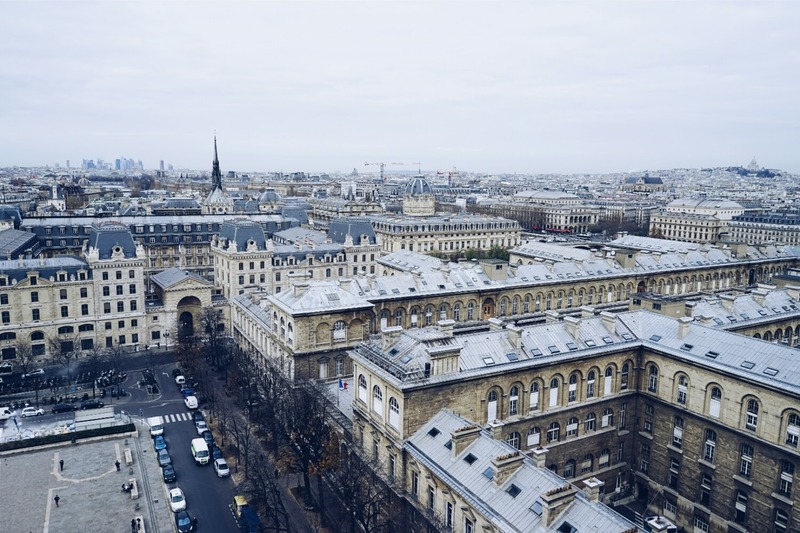 Famous sites like the Eiffel tower, Notre Dame, Sacre Coeur Basilica, Montmartre, Jardin du Luxembourg, the Seine Banks, Pyramids of Louvre, Ile St. Louise, Jardin des Tuileries, Arc de Triomphe and many others are free! Instead of changing your Peso notes to Euro (or worst, Peso to USD to Euro if Sanry’s doesn’t have Euros at hand. It happens. ), call your local bank to activate your ATM’s international withdrawal. I am not sure of the charges but I believe it’s cheaper to use the ATM than money changers. Also, the exchange rate was very good when we used our Visa credit card to pay for the hotel and restaurant bills. Luckily, there were no hidden charges! Check with your bank just to be sure. 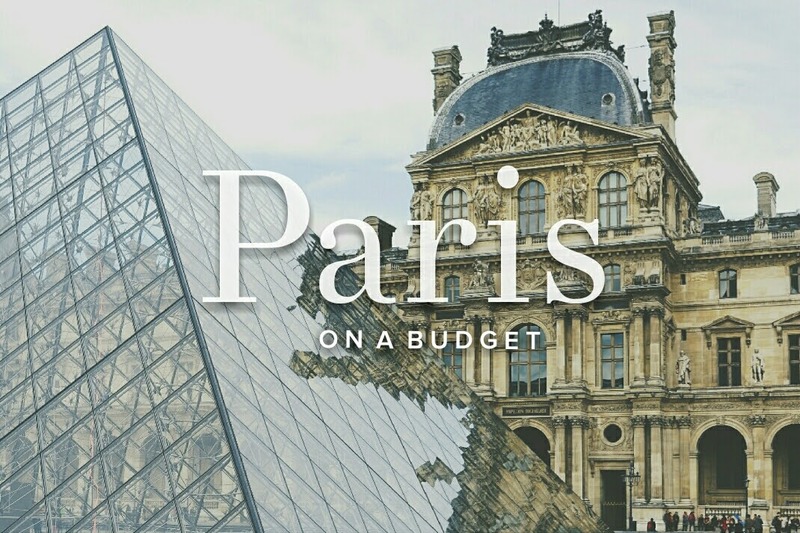 (1) More than half of the budget will go to the airfare from Manila to Paris. It’s advisable to visit other European countries as well to make the most out of this expensive ticket. (2) The exchange rate at that time was around €1 = ₱50 only. So, I used it in the summary. (3) Our travel insurance costs Php 2,300 for a 22-day trip. The insurance cost I mentioned below is for an 8-day trip. (4) The accommodation was a private hotel room which I shared, of course, with my boyfriend and a night near the Louvre booked via Airbnb. 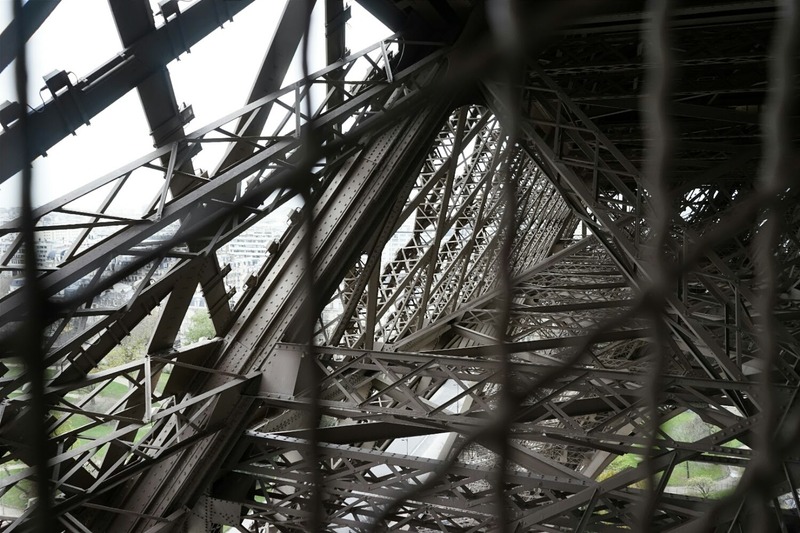 (5) I did not include the nice-to-haves like, the cost to climb the Eiffel tower, Seine river cruise, entrance fee to the museums, because these are optional. The price of travel depends on the choices that you make. See other tips here. Airfare Manila to Paris v.v. 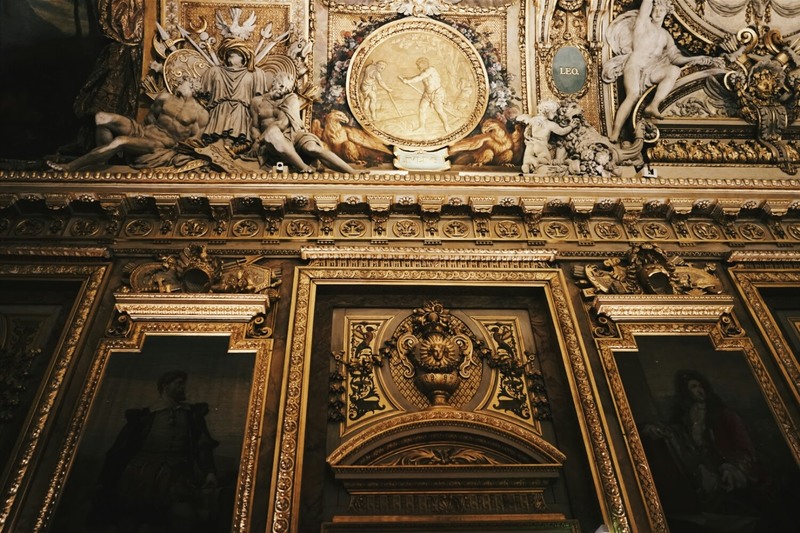 A visit to Paris is not complete without seeing at least one of its famous museums. Stretch your budget a bit for a 2-day Paris Museum pass. 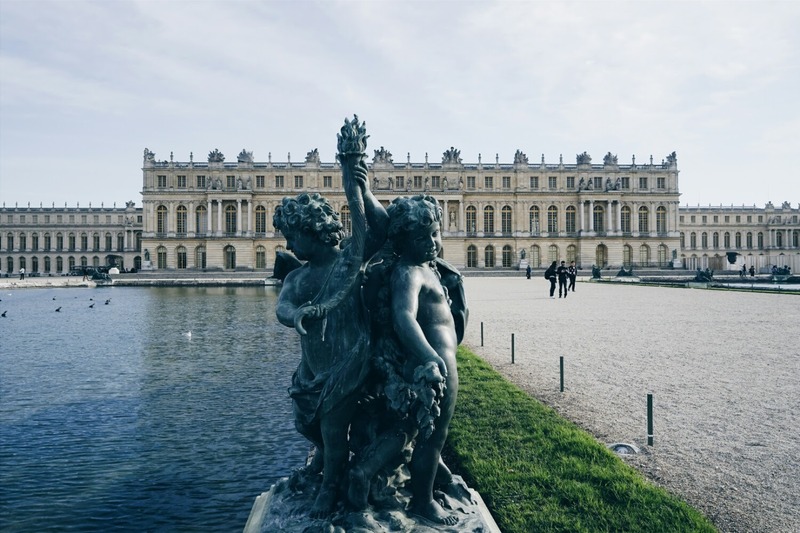 For €42, you get an unlimited, skip the line access to the biggest museums of Paris, including the Louvre, Orsay, Versailles and Fontainebleau. You don’t need to rush to see all attractions covered by museum pass. Just carefully plan your day and route to make the most out of it. Remember, less is more! Seriously, I thought I had to pay a fee to see the Eiffel Tower! Yun pala, you only need to pay if you wish to see its top floors. It’s free to take photos, of course. For me, the best view of the Eiffel tower is from the Trocadero and Champ de Mars, because it’s near and free. The tower is that big, you can see it peeking wherever you are in Paris. 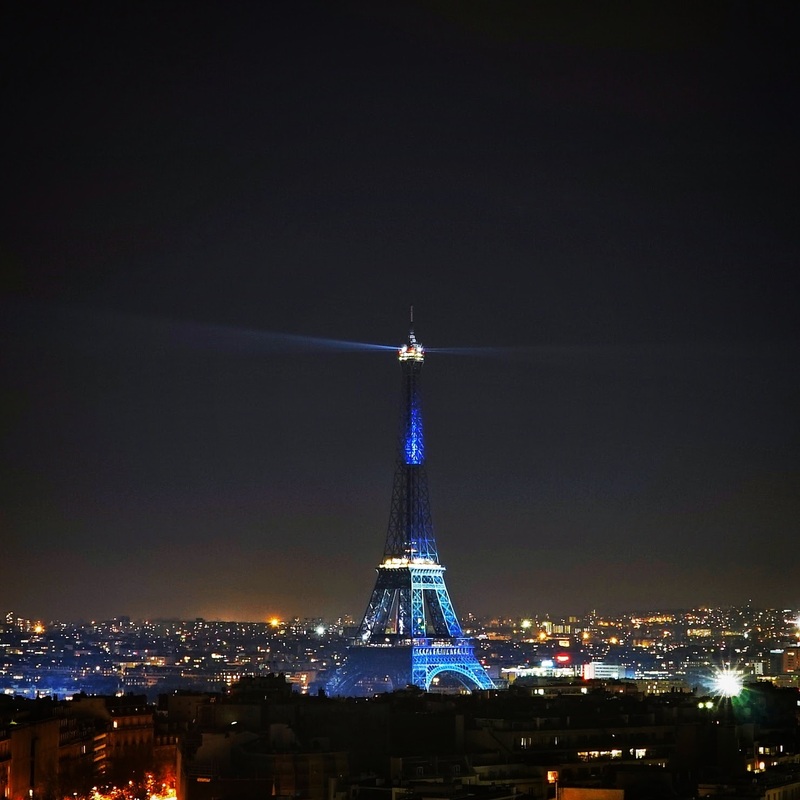 Others say, the Eiffel tower is best viewed from Montparnasse- the only skyscraper in the city centre. There’s a fee to enter the building. Other spots we tried for a fee were from Arc de Triomphe, the towers of Notre Dame and from Pompidou. I’m not sure why people put off seeing the interiors of Notre Dame Cathedral. Is it because of the crowd? When we were there, the church was almost empty while most of the people were outside, taking photos. Not sure if they know it’s free to enter the cathedral. 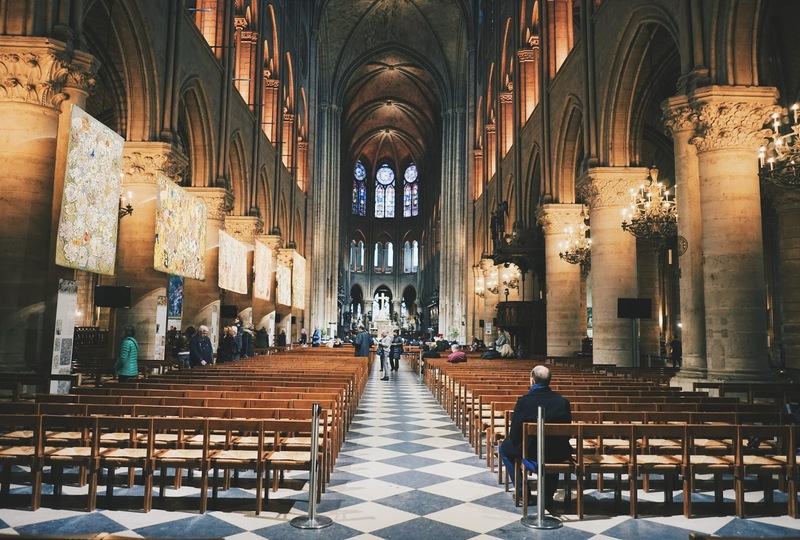 If you’re in Paris, please don’t skip this beautiful church. There’s a small fee though if you wish to see the towers of Notre Dame. If you have an extra hour, Ile Saint Louis is nearby Notre Dame. This small island is like an oasis, a small French village in the center of Paris. Walk left of Notre Dame cathedral's facade and then head to the back side of the church. Follow the road to the bridge and then cross. We visited Paris during autumn, and there were only a few tourists! 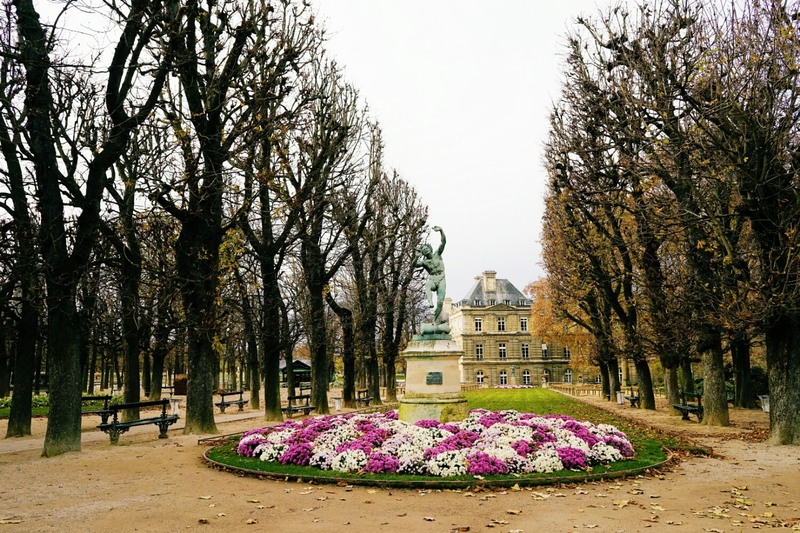 Jardin du Luxembourg is walking distance from the Pantheon and it’s a perfect spot to exhale the air of Paris! We bought a baguette, some croissants and lemon juice from a nearby boulangerie and spent an afternoon there watching a day in the life of the Parisians. So exquisite. Why Paris, why. Oh, the Paris I see in movies. Jardin des Tuileries is nearby the Louvre Pyramids. There’s no way to skip it! The octagonal basin is situated at the center of the garden. The pond has many chairs around it that you can use for free. It has many cute mallard ducks too! If you walk further, there’s Place de la Concorde and Place of Carrousel. 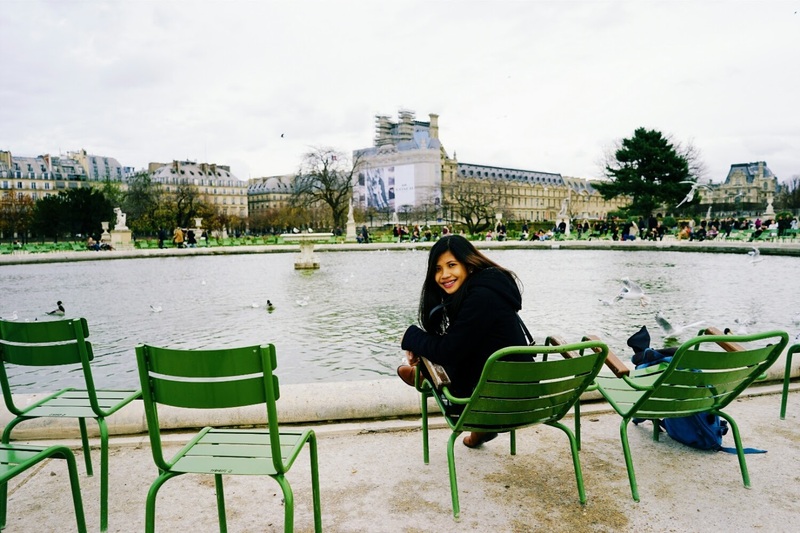 A photo of me sitting along the Seine Banks was one of my “non-negotiables” when we visited Paris. Not sure why. Maybe because of again, the Paris I see in movies? If you have a spare time, it’s also good to eat your snacks along the Seine banks. It’s so peaceful and beautiful. 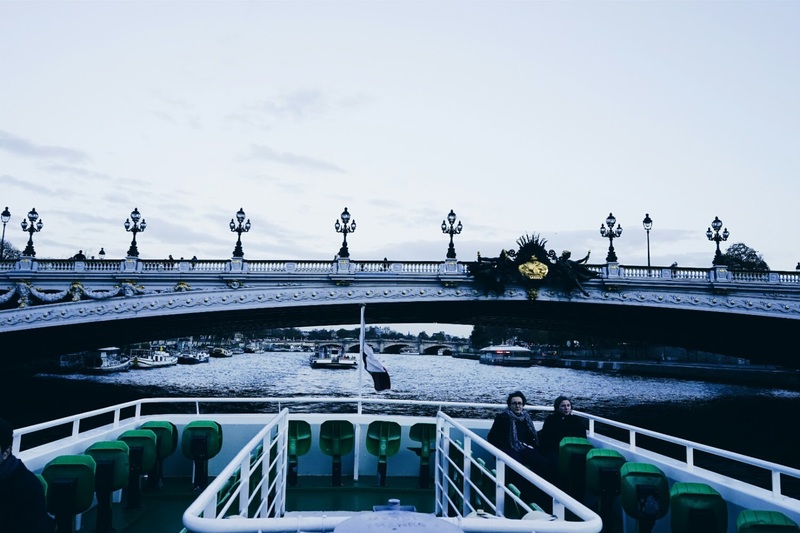 You may also want to cross the famous Alexandre III Bridge that spans the Seine. The bridge is widely regarded as the most ornate and elegant bridge in the city. Just like the Eiffel tower, I thought the entire Louvre complex is enclosed and that there’s a fee to see the famous Pyramids of Louvre. I was very happy to know that I can take photos with the pyramids for free! 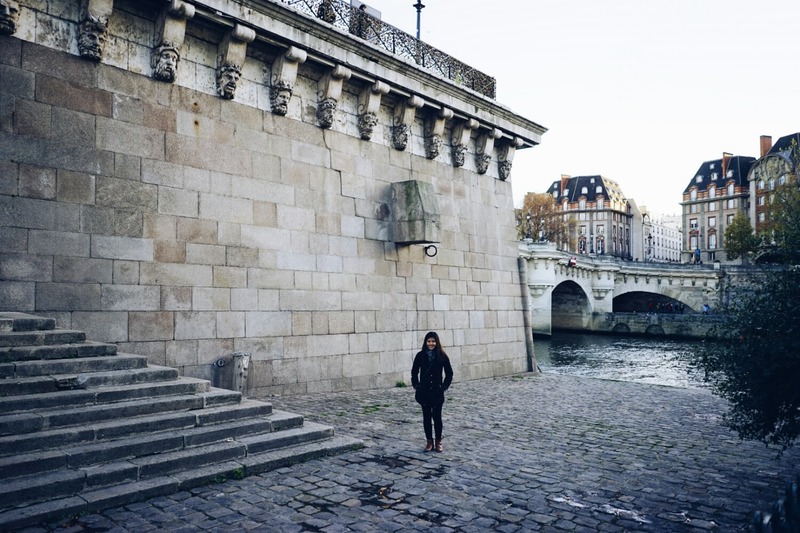 Since our Airbnb accommodation was just along the Richelieu area (one of the entrances to the Louvre museum), we had plenty of time to explore the free areas of the complex. The Basilica is open every day from 6am to 10:30pm. Entrance is free. From Montmartre, there are 300 steps to climb to get to the church. We got off at the Lamarck – Caulaincourt Metro station instead, because we didn’t want to walk these steps. Not that we’re lazy, but because I learned that there are scammers waiting for you on your way up to the Basilica. Unfortunately, this is true. The interior of the church is average nevertheless. But what I like most about this area is the fact that it’s the highest point in Paris. 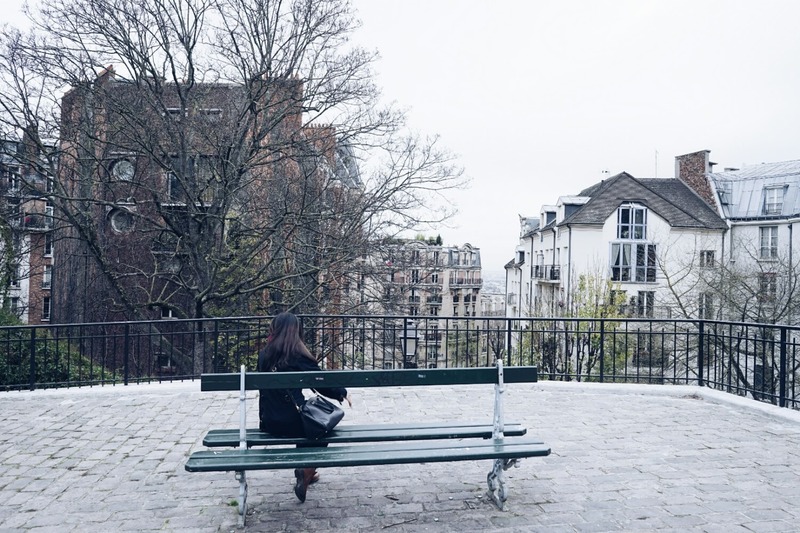 The view of Montmartre and Paris' gray-roofed apartments was spectacular! The Avenue des Champs-Élysées is 1.9 kilometers long which runs between the Place de la Concorde and the Arc de Triomphe. There are many luxury boutique in this area which we cannot afford, of course. Therefore, window-shopping na lang! The Arc de Triomphe is accessible by Metro and RER. Because of heavy traffic on the roundabout, it is recommended to use the underpass located at the Champs Élysées. If you want to see the countries next to France, taking the bus is the cheapest option. We went to Amsterdam from Paris via Oui Bus for only Php 1,100. We also took the 14-hr overnight Megabus from Barcelona to Paris for Php 1,200. Not a bad price for Europe! That’s it! I hope I backed you up to go after your dream trip to Paris. Other people may say it’s overrated and expensive, but if you really want to go, I urge you, go! See it! You don’t need to eat in that lavish restaurant in the Eiffel tower, or see all the city’s biggest museums. Paris is an experience on its own. Start saving, subscribe to Skyscanner for cheap flights to Europe, stay positive. Who knows, your dream vacation to Paris might be sooner than you think! After all, my friends, this is Paris. And a vacation in Paris is never second best. Take me back to Paris, s'il vous plaît! Your turn, guys! What's on your must-see list in Paris? Any recommendations on how to cut the cost further? hi, is 50k for two people? Hello VJ, it's per person. But the cost of accommodation and food was split into two. 30k of 50k was solely for airfare. 5k for visa and insurance. Your blog is amazing. Keep it up! 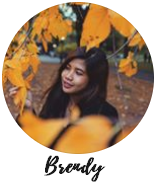 Hi Ms. Brenda! How did you get travel insurance? Is it part of the travel package? Or do you find it separately? Nope, it's not part of a tour package as we planned the trip ourselves. We bought our insurance from Blue Cross (now Pacific Cross). It was the cheapest at that time. We used to buy from World Nomads, but only for extreme adventures like that of trekking in the Himalayas.